Managua is a really original city. If you look for the center of Managua, you won't find it: it doesn't have one. 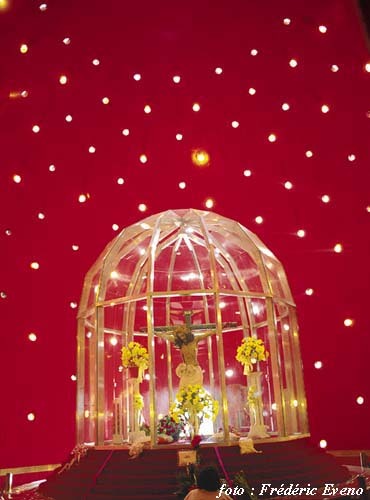 It was destroyed by an earthquake in 1972, and the problems of that time postponed its reconstruction. 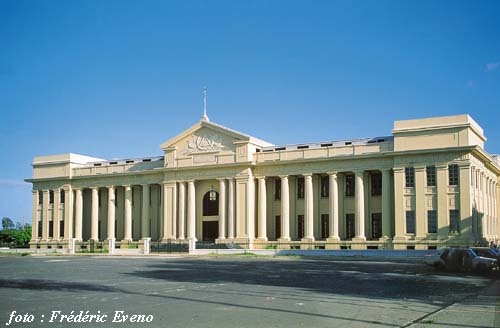 With the passing of time the city developed in various areas, and now no one is really interested in rebuilding the old Managua, whose ruin remain as witnesses to the horror of the seismic forces. 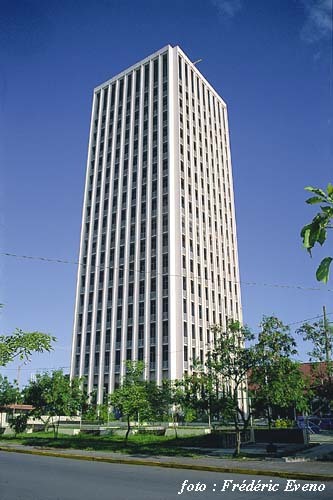 If you view Managua from the neighboring hills, you won't see much, because the majority of its buildings are of one storey and are obscured by Managua's abundant vegetation; only a few buildings rise above the trees, notably the Bank of America building, the tallest in Managua. In this perhaps uniquely rural capital, you can feel as though you're in the country when you're in this city. Another curiosity of Managua is its system of directions: some streets have names, but no one knows them. They navigate by the points of the compass from a known point of reference: 'from where the small tree was, one block toward the Lake, and 25 leagues up (up is east, down is west, to the Lake is toward the north, and only for south is the habitual word used). Lake Managua, younger brother of Lake Nicaragua adorns the city, giving it the aspect of a port. This topography assures it of future tourism if it can rescue the lake shore from neglect and pollution and if it conditions itself for tourism. We must hope that in time the 'managuas' (inhabitants of Managua) rediscover their lake. Until the last century, Managua was a village. It grew rapidly following its elevation to the rank of capital in 1852, as a solution for the dispute for this title between Granada and León .For this reason, it has no colonial district, nor has it ever had one. Rubén Darío the illustrious poet, was Nicaraguan. 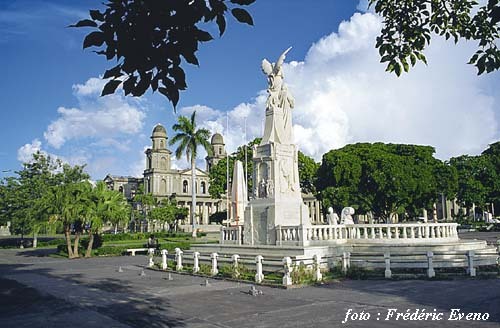 Many buildings and monuments in Managua bear his name. 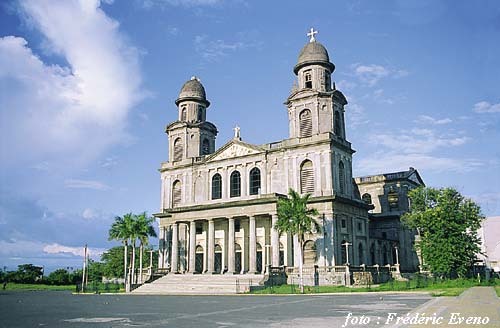 The ancient cathedral was partially destroyed by the Managua earthquake. Today it is a museum.
. . . 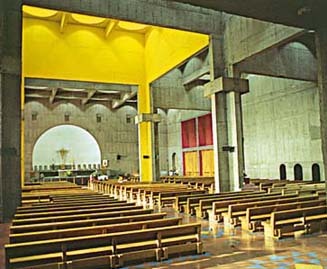 The new cathedral was dedicated in 1994. 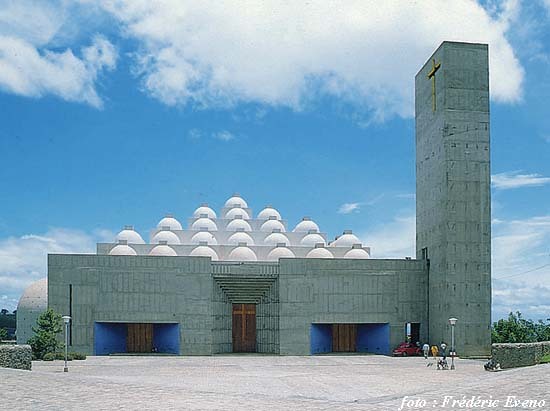 This modern “avant garde” construction symbolizes Nicaraguans' desire to rebuild and modernize their country, and demonstrates the capacity of the country to carry out prestigious architectural projects. Religion in Nicaragua never lost its force and continues uniting them under the pressure of their political differences.